and the skelter of life’s tests, used to tell me: follow your dreams. Loved her, loved her so, even though she voted Leave. in ruled Britannia, God save the Titanic, and all who sink with her. they want to make us feel, and act and march in their same shoes. This is why, this is why, my heart swells with pride, not theirs but mine. which is yours, which is ours, it’s called sharing, and it rhymes with caring. Gone past caring? Don’t give up. Don’t stay down. Get back up. There I was, propped up on the bed, time for a tea and something on bread. c’est pour ça, mon clavier est AZERTY et pas QWERTY. to send the love and give the light, to cry when I like and fight the good fight. Choose Life, Frankie Says, Make Love Not War, #MeToo #Remain, Idles on Tour. that I wore on my back in days when my aunty wasn’t a Brexiter. see their faces when I tell them I don’t like barriers, and I dream in European. Poem by the editor. Thanks to Idles. This entry was posted in poetry, WORDS and tagged Brexit, Britain, Colossus, europe, France, GREAT, Idles, music, Poems, poetry, Remain, Samaritans, toxic masculinity, WORDS, writing on February 17, 2019 by The Vintage Toy Advertiser. 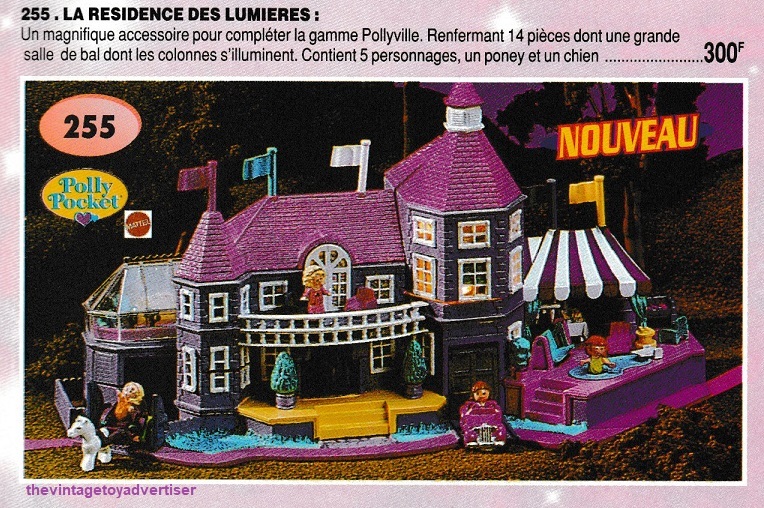 It’s a new entry for TVTA as we present some 1995 Polly Pocket scans from French catalogue Ets De Neuter. Polly Pocket is a line of toy dolls and accessories that became popular during the late 80s and early 90s. The original dolls came in pocket-size cases and were sold by Bluebird toys of the UK and Mattel. 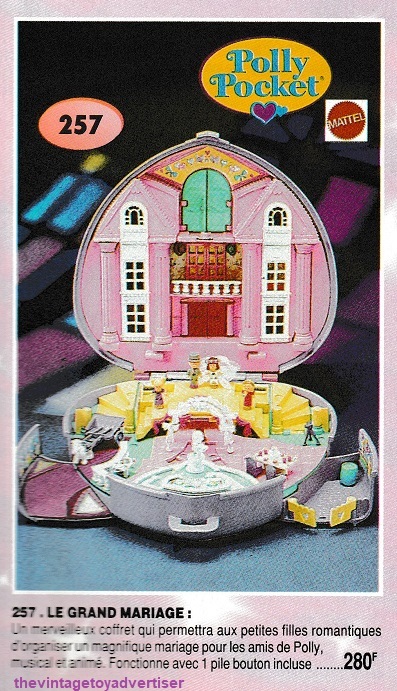 Polly Pocket has also appeared in feature films, video games and a web series. It continues to be sold to date. 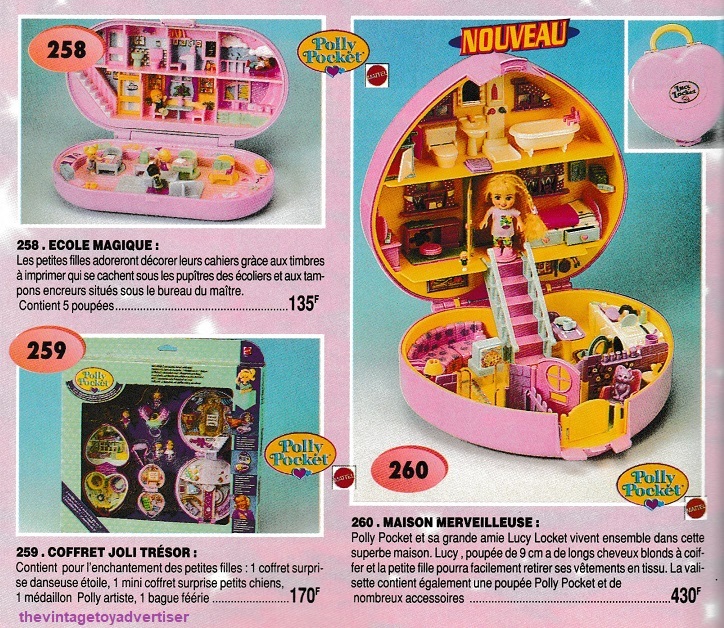 This entry was posted in Dolls and Fashion Toys, Polly Pocket and tagged 1990s toys, Bluebird Toys Polly Pocket, dolls, France, Mattel Polly Pocket, Pocket toys of the 90s, Polly Pocket, toys, vintage Polly Pocket, vintage toy advertising, vintage toy adverts, vintage toys on July 7, 2018 by The Vintage Toy Advertiser.